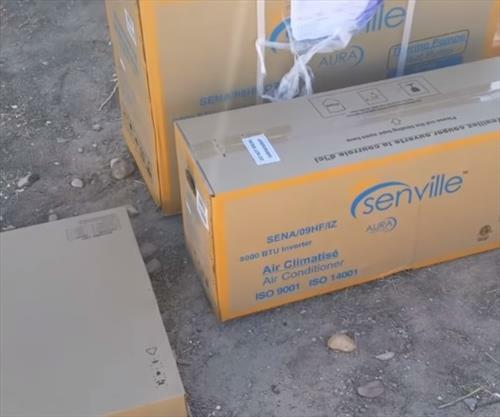 Senville Mini Split units are some of the more popular heat pumps available. They are very popular with the DIY crowd since they come with everything needed for an install, except the electrical AC wiring. I recently installed a 9,000 BTU 230 Volt unit a year ago so thought I would post a review of it. I order the kit from Amazon and it came in three boxes. The boxes came with the line-set, inside and outside units, along with the control wires and remote. The Senville is a DIY Mini Split kit so can be installed by a home owner or HVAC company. Then installation is not hard for a handy person but may not be for everyone. 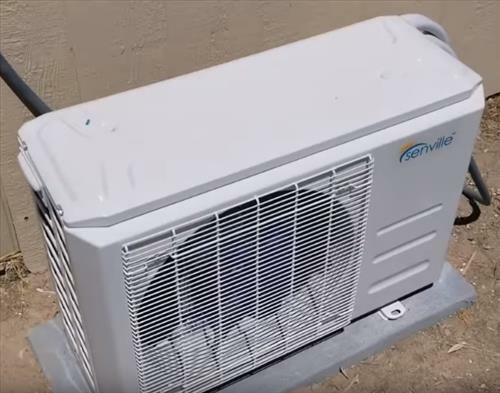 There is three main components of any mini split with the inside blower, outside condenser and line-set. The outside condenser needs to have AC wring run to it from a breaker along with control wires to the inside unit. The inside unit needs to be mounted on a wall and the line-set run between the two units. This requires drilling a 3 inch hole in the wall for the line-set to be run between them. It took roughly 3-4 hours for me to install the unit. The Senville makes very little noise with the only noise from the inside is the fan motor spinning to blow out air. 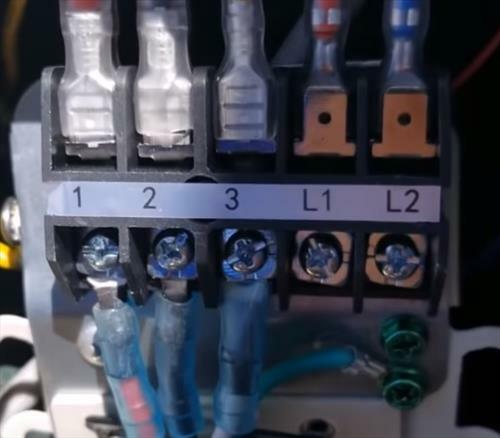 Most all mini split unit will be quiet to operate and one of the advantage of installing one. It comes with a remote control that has all the functions such as temperature, fan only, on/off, and more. The cost to operate the unit is surprisingly low since it has such a good efficiency SEER rating. The SEER rating for the unit I received was 23 SEER which is very good number. The SEER rating is how efficient the unit operates, higher the number the better. The average home air conditioner from 10 years ago had a 12-14 SEER rating. All mini splits are notoriously low-cost to operate with good SEER rating but the Senville I received currently has the highest SEER rating. For example I have also installed many Pioneer and Mrcool units with the Pioneer having a SEER raring of 17-19 and Mr Cool at 17.5. Any SEER number over 17 is a good number but the Senville unit currently has the highest I have seen. After installing and using the Senville 9000 BTU mini split for a year I can say it is a good unit. It cools a room addition nicely that is roughly 600 square feet. They have bigger units with sizes ranging from 9000 BTU – 36000 BTU. The unit runs almost silent and except for the door opening and air blowing out can almost not be heard at times. The cost to operate it is also low and much cheaper than a window unit or big whole house unit. During the summer it cools the space very well. The winter months it also heats very well and is a very good fit for the American south west climate I live in. So far the Senville has not disappointed and has been working very nicely. I will update this post if anything changes. As always be sure to read the reviews on Amazon, forums, here, or elsewhere to be sure an adapter is a good fit for you.